ScotchBlue™ Painter's Tape Original Multi-Surface 2090 is the #1 selling Painter's tape in the U.S. for a reason - it's the original blue tape that DIY Painter's and pros have loved for more than 25 years. 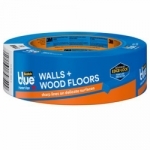 3M ScotchBlue™ Painter's Tape For Walls and Wood Floors - .94 in. x 60 yds. 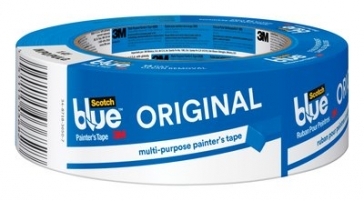 3M ScotchBlue™ Original Painter's Tape - .94 in. x 60 yds. 3M ScotchBlue™ Trim + Baseboards Painter’s Tape - 1.88 in. x 60 yds. 3M ScotchBlue™ Original Painter's Tape - 1.88 in. x 60 yds.